I totally missed you guys and missed blogging last week. Feels so good to write and share my outfits with you guys again. I felt like I needed a little break from the outside world. Sometimes people think you have it all put together just from what they see on the outside when in reality you are not. Sometimes that's okay because we are not superman. Lol. I love the quote "Be kind for everyone you meet is fighting a hard battle." I've learned when you're feeling overwhelmed sometimes you just have to take a deep breath take a little break and pick it up again. I think I've lost count of how many times I've worn these white jeans. Note to self: I think it's time for new ones! Over the weekend the weather was super super nice. I wanted to wear something simple and fresh. I wore these white jeans with this houndstooth print top. In case you don't know it's one of my favorite prints. I think I've mentioned that about 100 times on the blog. Lol. I felt like the outfit needed a little color in the mix so I wore these bold red booties from Shoedazzle. It looked perfect with my usual red lip. 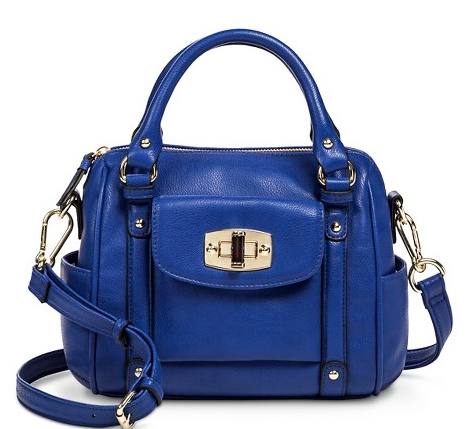 I took the color play to the next level by adding this cobalt blue mini satchel purse. It's such a cute little fun size purse and perfect for the days you don't want to carry your whole life with you. Trust me I'm guilty of carrying too much crap in my purse all the time. 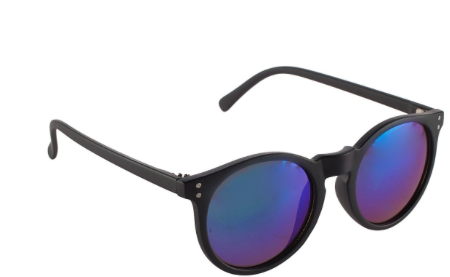 Lastly, I added these mirrored sunnies from Shop Prima Donna. When I saw them on the site I thought they would be perfect for the spring/summer. I never really go for round shape but I'm glad I went for these and tried something different. This is great! I love your shoes!